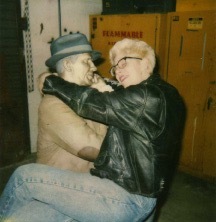 I directed the Patina Department at the Johnson Atelier Technical Institute for Sculpture, a fine art foundry located in Mercerville, NJ, from 1990 to 1994. 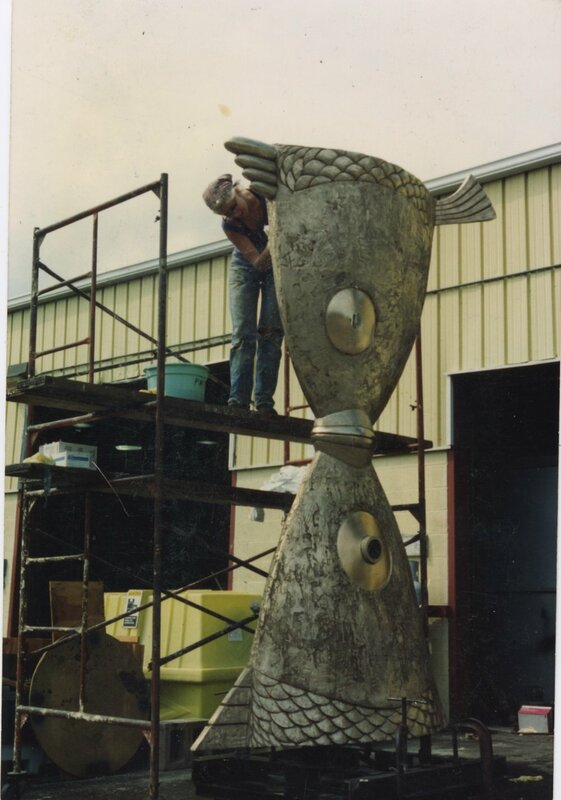 My varied responsibilities included consulting with nationally, and internationally recognized artists to determine the appropriate surface finishes for their newly cast works in bronze, aluminum, and steel. I trained staff and apprentices on technique and safety procedures. Together with my staff we executed finishes utilizing chemical and paint applications. The facilities I managed included a Binks two-bay downdraft ventilated paint building and a chemical studio for hot and cold patina applications. Our completed works found their way to museums and collections around the world. We also completed numerous on-site sculpture and historical monument restorations. 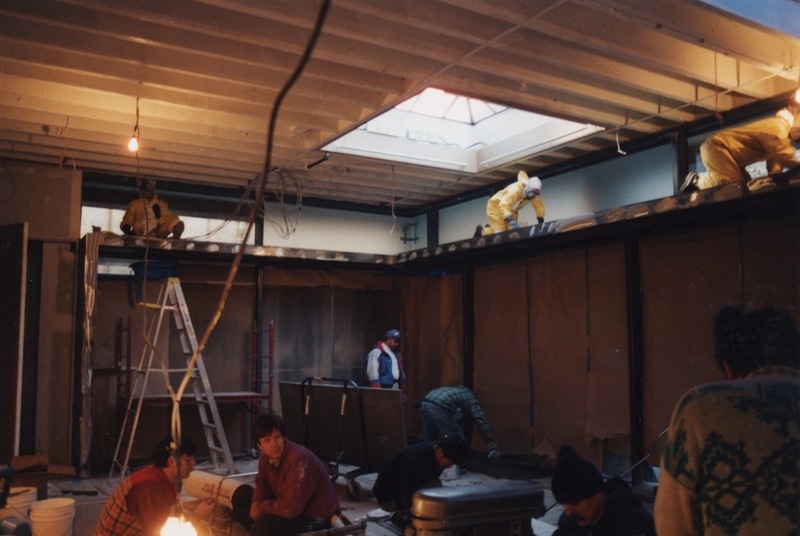 This slide show features a random collection of patina works in progress at the Johnson Atelier, and later work I executed as an independent contractor. Applying patina to Tom Otterness sculpture. Working on Man on Horseback, Botero, from the Metropolitan Museum of Art. I am on the scissors lift on the right applying patina to the bronze cast monument of Caesar Rodney, a signer of the American Constitution, and President of Delaware during the Revolution. 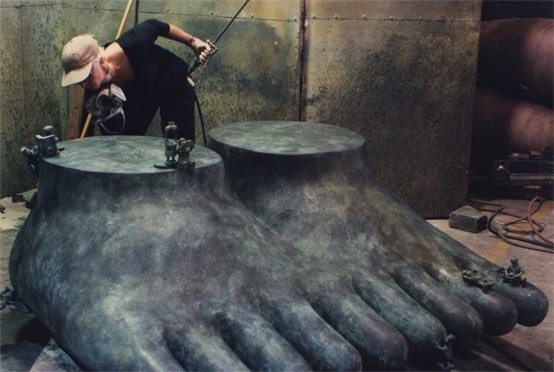 Working on Joel Shapiro sculpture. Working on Joel Shapiro sculptures. 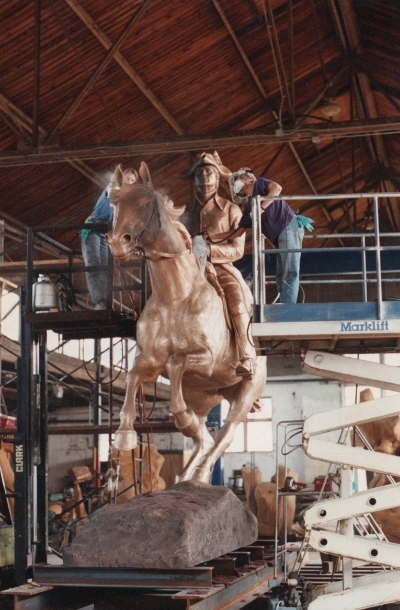 Working on Joel Shapiro bronze sculpture. Working on Mel Kendrick's Big Dottie sculpture. Working on Michelle Oka Doner bronze stool. Applying patina to unknown artist's work. Repairing patina on Seward Johnson, Jr.'s sculpture in Madrid, Spain. Preparing to begin patina on bronze sculpture. Completing patina on bronze sculpture. Applying patina to Mihail Chemiakin sculpture. Working on Ron Baron sculpture, applying automotive paint. Working on one of twenty-two lamp posts cast and patinaed for the New York Public Library Bryant Park space by the Johnson Atelier. Applying seal coat to my patinaed steel wall/sculpture at 1521 Washington Ave., St. Louis, in the Club Cabool. 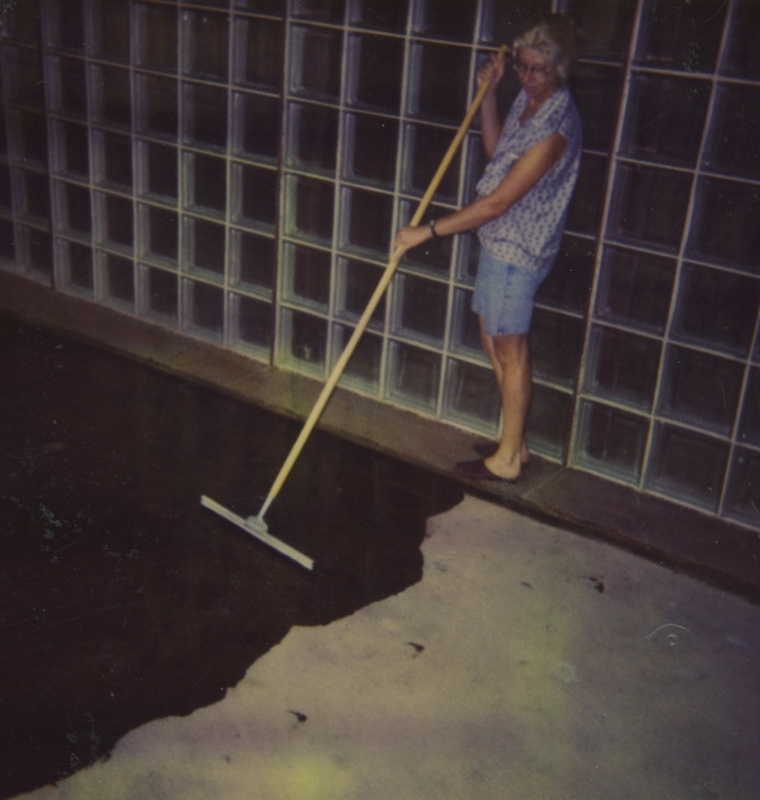 Applying patina to concrete surfaces at Club Cabool. Applying coating to concrete in portico space of Club Cabool. Executing steel patina finish on Eileen Fisher's flagship Soho store,. I apply patina to steel plate on Eileen Fisher interior. Other completed elements, the passage way and hang rack are in the foreground. Applying patina to interior window box. Close-up of patina on information bearing plaque. Restored and repatinaed the decorative plaques at the top of the monuments and the information bearing plaques at the bases.